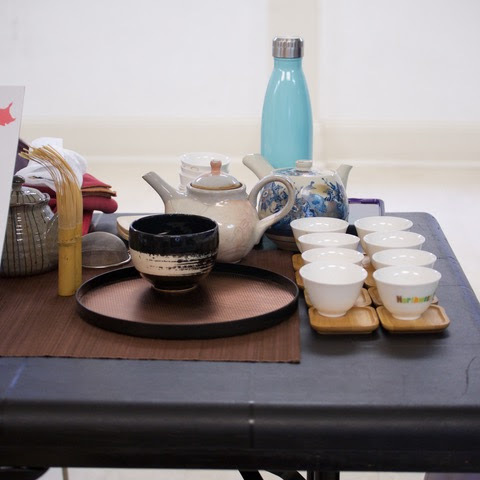 Northwest Tea Festival hosts the World of Tea Series one Saturday of each month. This series offers unique tea tastings and workshops presented by specialists in the industry. 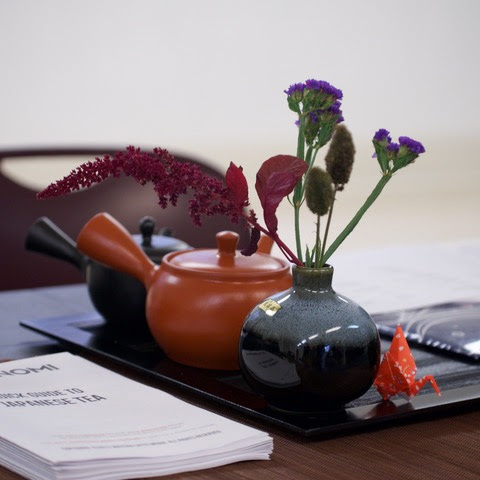 On September 16th, I presented a tasting of Rare Japanese Teas. This particular tea was harvested in Spring 2016 in Shizuoka Prefecture and stored for 3 months in a yukimuro in Itoigawa. Yukimuro (snow room) are storage rooms kept just above freezing by packing the walls with natural snow from the previous winter. Storing tea in a yukimuro seems to bring out an increase in multiple chemical components that make up the tea leaf's umami flavor as well as a notable increase in amino acids. Tea master Nobuhiko Ikematsu established his shop in Fukuoka in 2010 and specializes in gathering rare bancha nationwide. Kamairicha takes its name from the method of production: kama (pan/pot) and iri (fired/roasted). Pan-fired tea in Japan was originally called Tōcha and originated in China. Priest Eirin Shuzui brought tea seeds to Reiganji temple in Yami, Fukuoka from China and may have introduced the pan-firing process in the early 15th century. Ko Reimin from China introduced the process in Ureshino in Saga Prefecture in the 16th century. The steaming process was developed much later in the 18th century. Kamairicha currently represents only 5% of the tea produced in Japan and is mostly produced in southwestern prefectures (Kyushu (Kumamoto), Miyazaki, Nagasaki, Oita, and Saga). This green tea was produced near Tsubaki Grand Shrine in Yamamoto-cho, Mie Prefecture and was made available to visitors of Tsubaki Grand Shrine of America in Granite Falls, Washington during Hatsumode (first shrine visit of the New Year). Tarui Tea Farm was established in 1970 and is run by 2nd generation artisinal tea farmer Takayuki Tarui. The farm and factory were certified organic in 2003. This particular oolong is especially unusual because it was produced in Shizuoka from the rare 7132 cultivar. Generally, the limited amount of oolong produced in Japan comes from Kyushu, Kagoshima, the Kansai region (Kyoto, Uji), and Saga. Kurihara Seicha, Ltd. is run by father and sons Kippei, Yuji, and Akio Kurihara. Their family has been producing tea since 1922 and their tea farm was established in 1942. The tea name comes from where it was produced in Yame, a region famous for gyokuro. Kaneroku Matsumoto-en is run by 3rd generation tea master Hiroki Matsumoto who is currently pioneering smoked teas in Japan. The family has been producing tea for longer than records exist and their tea factory was established in the 1930s. This tea was produced using the Chagusaba method which has been designated a UNESCO Globally Important Agricultural Heritage System. Tea fields are surrounded by tall Japanese grasses (mainly susuki and sasa) which are harvested in autumn by hand, dried, chopped, then laid on the ground around and between tea field hedges. The grasses provide soil fertilization, weed prevention, and are home to native endangered insect species populations. Ishizuchi Kurocha has been produced in Japan for centuries and takes its name from Mount Ishizuchi, one of the Nihon Nana Reizan (7 Holy Mountains). The very specific combination of climate and elevation on Mount Ishizuchi is necessary to produce the tea without introducing harmful bacteria. Until recently Mr. Masaki Sogabe, who recently retired around the age of 90, was the only remaining person with the knowledge to produce this dark tea. To preserve the legacy, life research group Satsuki-kai received approval from Mr. Sogabe to learn the process and began producing Tengu Kurocha which takes its name from Tengu peak on Mount Ishizuchi. Recently, there has been a successful attempt, with Mr. Sogabe's approval, to reproduce Kurocha in Hinohara village near Tokyo. Goishicha is produced almost exclusively in Otoya and is believe to have first appeared in Japan in the 18th century. The name refers to the stone playing pieces in the game of go. Originally, the corners of the tea were rounded after drying to more closely resemble go stones. Production of goishicha was at its height during the late 19th and early 20th centuries before demand dropped off and by 2002 there were only two people producing goishicha. Thanks to renewed interest, there are now several producers of goishicha. Batabatacha is a specialty of Niigata and Toyama Prefectures and was also produced in Fukui Prefecture until 1976. It was officially introduced to Japan in 1427, using a process that was Chinese in origin, and bears the closests similarity to puerh among the Japanese dark teas. The name "batabata" refers to the swishing and clattering of the whisk (batabata chasen) in the bowl (gorohachi chawan). It's traditionally prepared as a whisked tea (furicha) on special occasions and for guests, though it is also enjoyed unwhisked with meals. Thanks to the attendees for your interest, enthusiasm, and willingness to try something new! 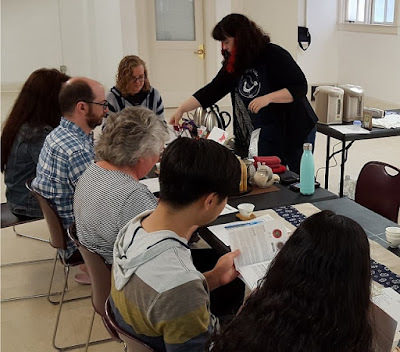 Thanks to Northwest Tea Festival for hosting this event, to Yunomi for providing many of the teas and the useful tea guides, and to Cinnabar and Andrew for your excellent assistance and photography!